The world is dying, the meager oases where life can continue to exist are ever-changing, and if you want to live, you and yours have to build mobile bases in order to chase the habitable zone while outfighting and outwitting other clans in the race to survive. The Last Oasis is a third person survival game built by Donkey Crew, a Polish development studio who openly profess to hating survival games, and hope to bring a new breath of air to the genre. 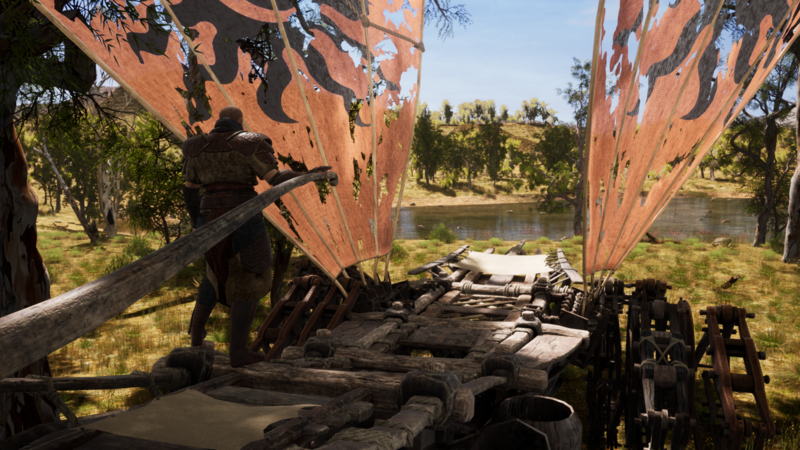 Procedurally generated maps, ever-changing landscapes, skill based combat, and a player driven economy are all compelling features of this upcoming MMO, but it’s the unique quirk within the No-Man’s Land that really makes this game stand apart. An ancient cataclysm has caused the Earth to stop rotating, changing the planet as we know it. One side is a scorching desert, the other a frozen wasteland, and life can only exist in the narrow bands between these two extremes: the habitable zone. Humanity has become nomadic, using large wooden walkers, known as Flotillas, to gather resources, wage war, and follow the safety of the habitable zone. Flotillas can be large or small, crafted by one individual or shared by guilds. Because these bases are mobile, they can also stock up on supplies and vanish into No-Man’s Land, allowing their owners to log off of the game, safe in the knowledge that they will not return to find all their hard work smashed and raided during their absence. I settled into the demo station at GDC, and immediately took up the helm of my temporary guild’s Flotilla. The large structure creaked as it moved, fanning its red sails, which power the device, as it lumbered through a vast, open valley between mountains. It didn’t take long for another Flotilla to appear on the horizon; this one was smaller and more agile, powered by blue sails. Our walkers made a beeline for each other, my teammates firing projectiles from other stations of our Flotilla as the blue walker returned fire. The battle was long and fierce, a combination of ramming, boarding with grappling hooks, blasting and being blasted with projectiles, and attempting to turn the opponent’s walker onto its side, crippling it. While there are no health bars for Flotilla, the more damage you do, the more the colored sails will rip and deteriorate. Destroying these completely will strip the walker, allowing you to easily overpower it. During our chase, at least one crew member fell off our walker, and we had to coordinate to get him back on board before the enemy ran him down. The walker I piloted was slow and lumbering, but sturdy and more resilient than the nimble blue walker. I was told there are a handful of models of walkers, and each can be outfitted with a number of adaptations to personalize their mobile bases, as well as to improve combat, harvesting, and more. Combat is simple to pick up, but brutal. There are no classes in The Last Oasis, your fighting style is determined by the types of weapons you wield, and the developers proudly said that they would be further developing the system based upon what the players themselves did within the game. Because the habitable zone is always changing, the maps within the game will also be cycled out. As the Earth moves around the sun, the oldest maps will become part of the endless desert, and new maps, known as Frontier Maps, will be generated. These will be the heavily contested spaces, full of untapped resources, and full of other pioneers eager to harvest their bounties for themselves. Those looking to eke out a more meager, and far safer, existence can avoid the Frontier Maps, harvesting, crafting, and even trading with others in the less contested and thus more peaceful areas. 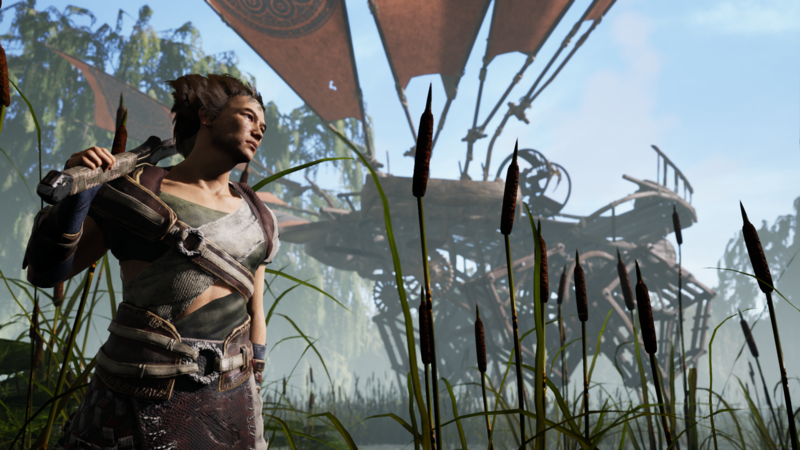 With servers capable of housing up to 1,000 oases simultaneously, unique biomes to explore, and a world which expands and shrinks to accommodate the player base, there’s going to be a lot to explore when The Last Oasis moves to Open Beta on Steam later this year.